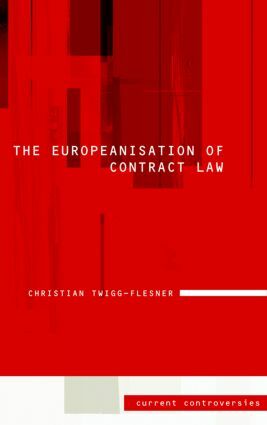 Critical yet accessible, this book provides an overview of the current debates about the ‘Europeanization’ of contract law. Charting the extent to which English contract law has been subject to this activity, it is the ideal volume for readers unfamiliar with the subject who wish to understand the main issues quickly. recent plans for a European Common Frame of Reference on European Contract Law. Bringing together advanced legal scholarship, critically examining key developments in the field and considering the arguments for and against greater convergence in the area of contract law, this is an excellent read for postgraduate students studying contract and/or European law.